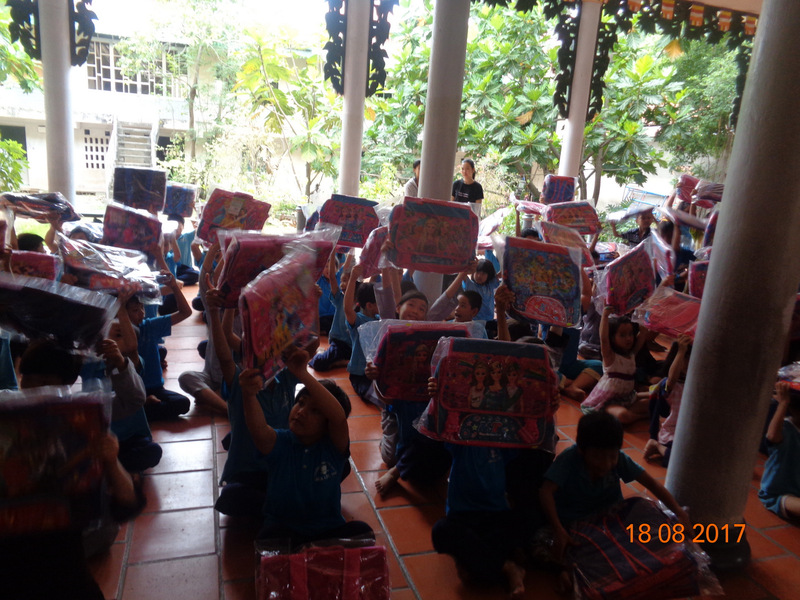 On August 18, 2017 we brought new backpacks for all the children of the Loc Tho Charity School. 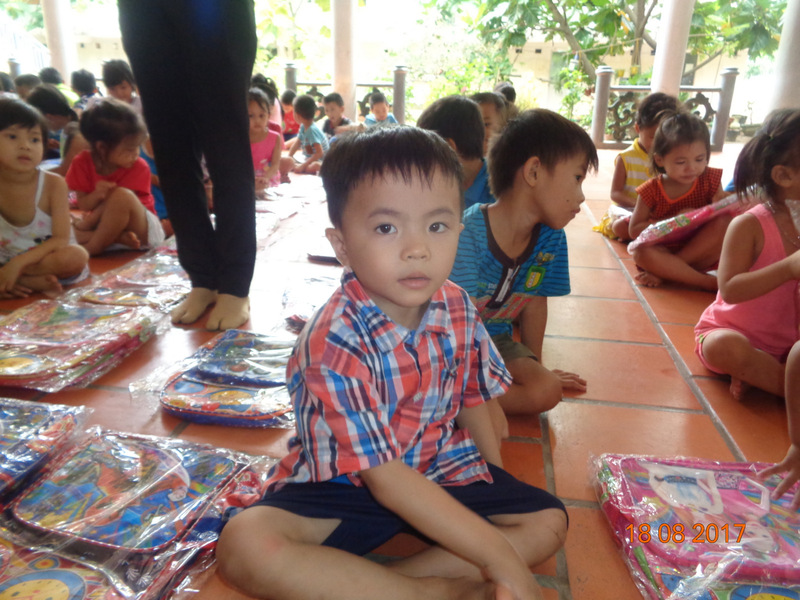 Loc Tho provides free primary schooling to neighborhood children whose parents cannot afford the costs of public school. 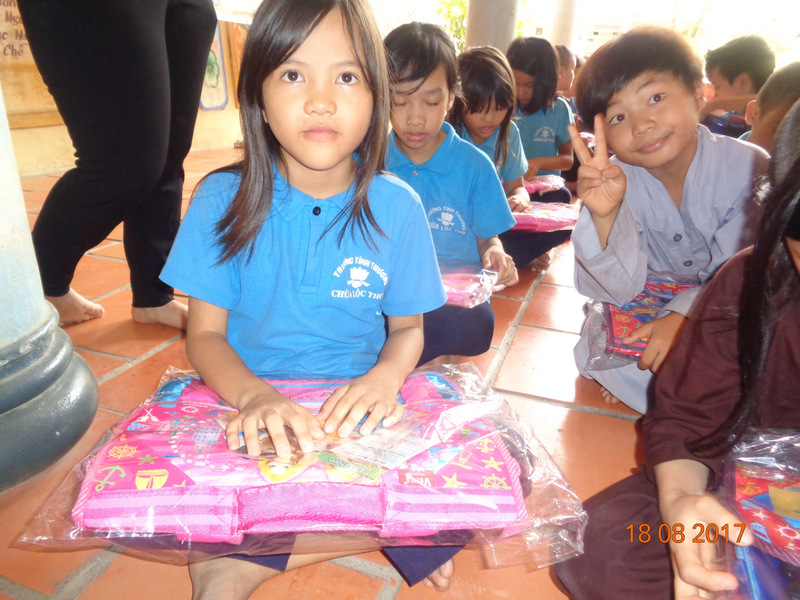 These include buying new school uniforms, textbooks, backpacks, school supplies, and paying school fees. 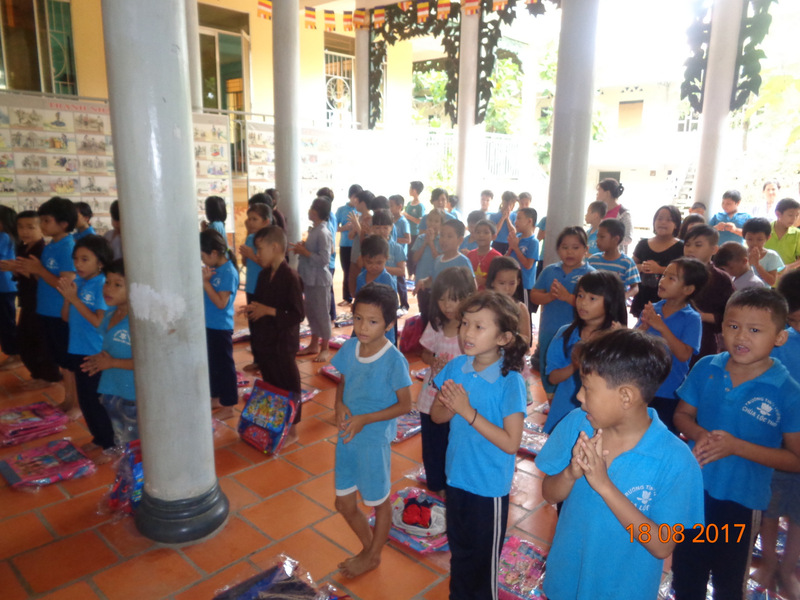 The nuns at Loc Tho ensure that every child receives an education free of charge. 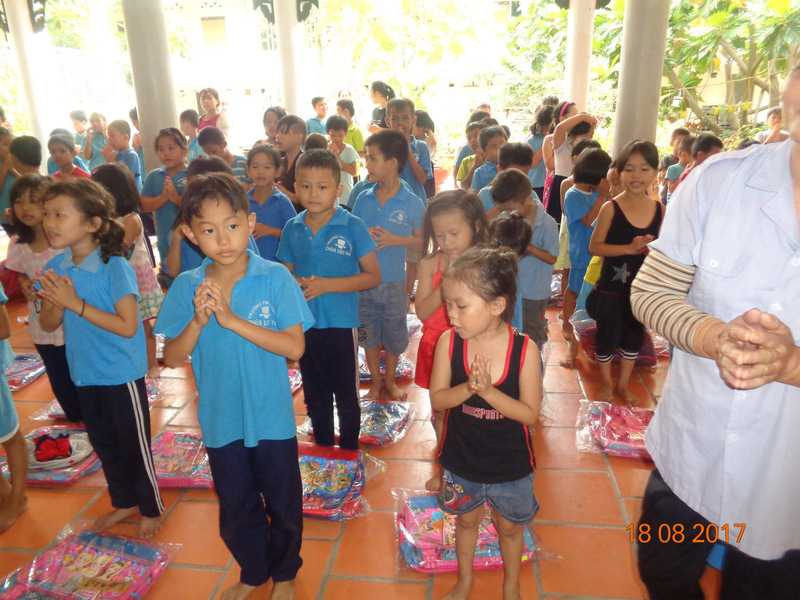 Accredited teachers come every day, and the school has several classrooms. 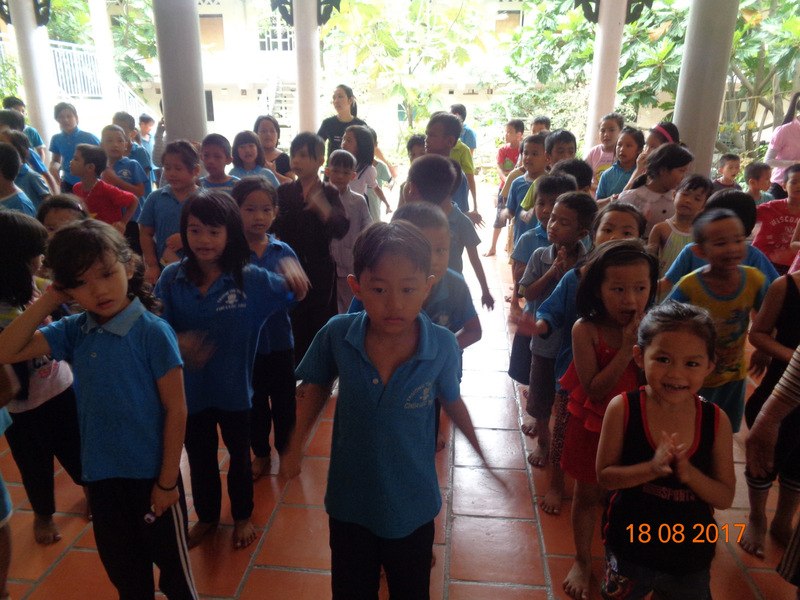 The school has become popular, with over 120 children attending. 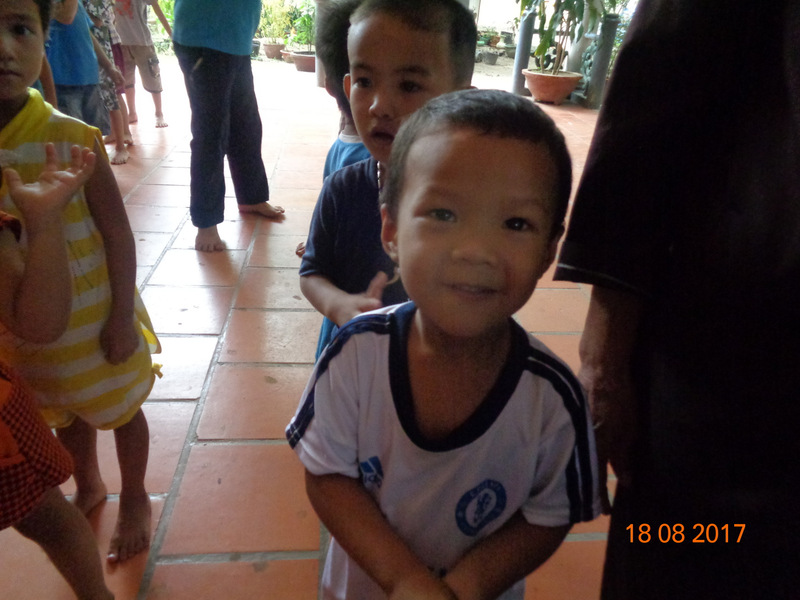 The Loc Tho pagoda also cares for about 20 orphans. 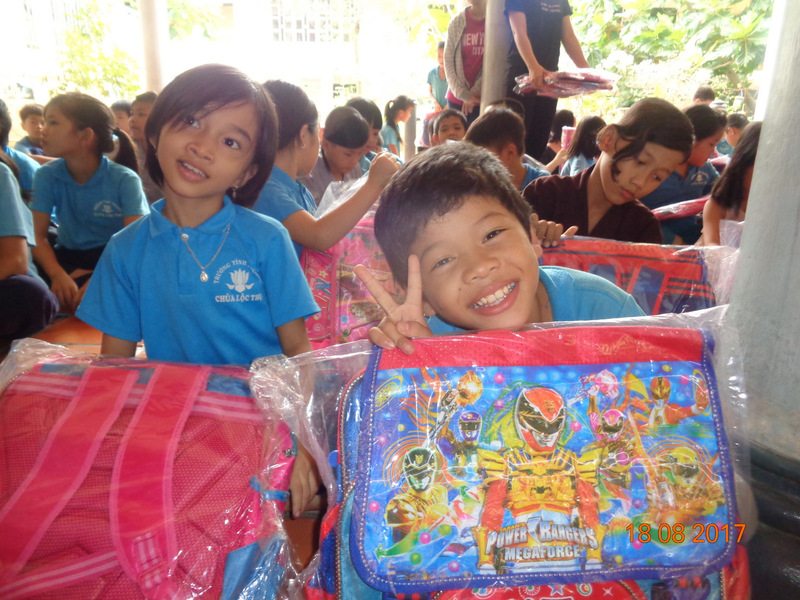 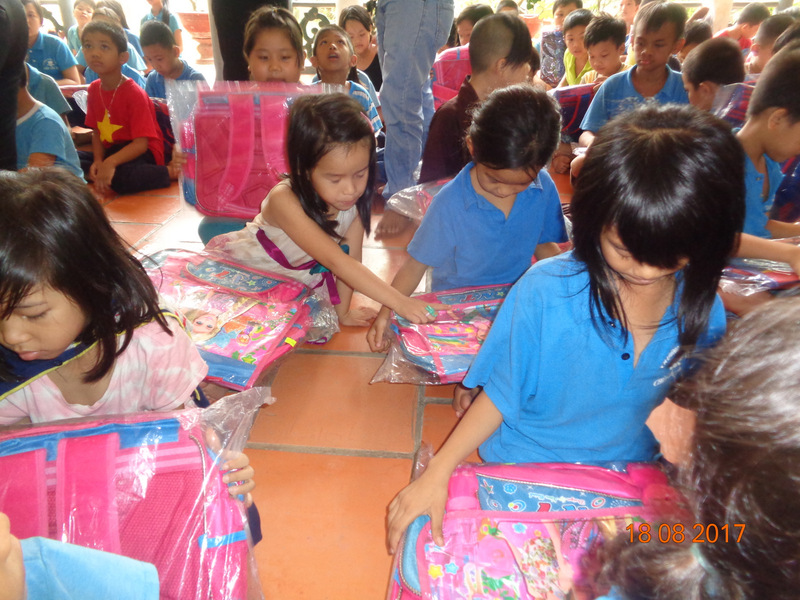 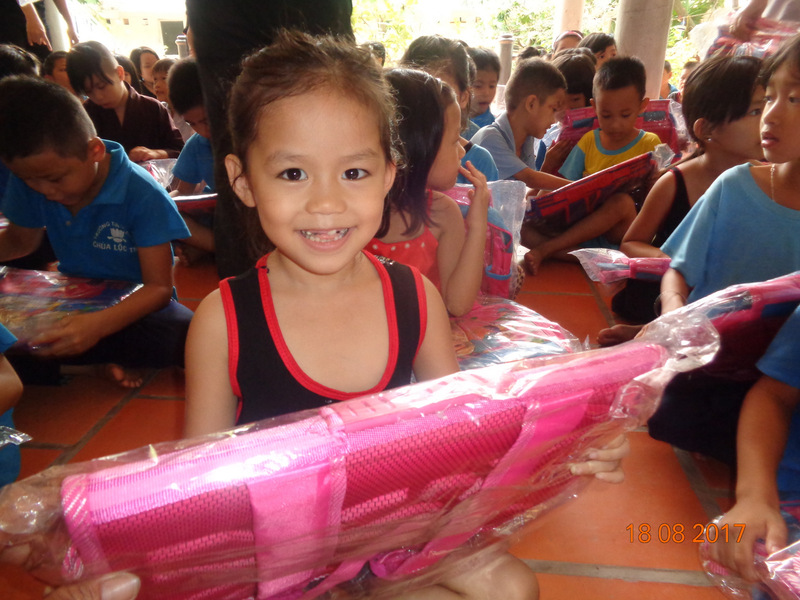 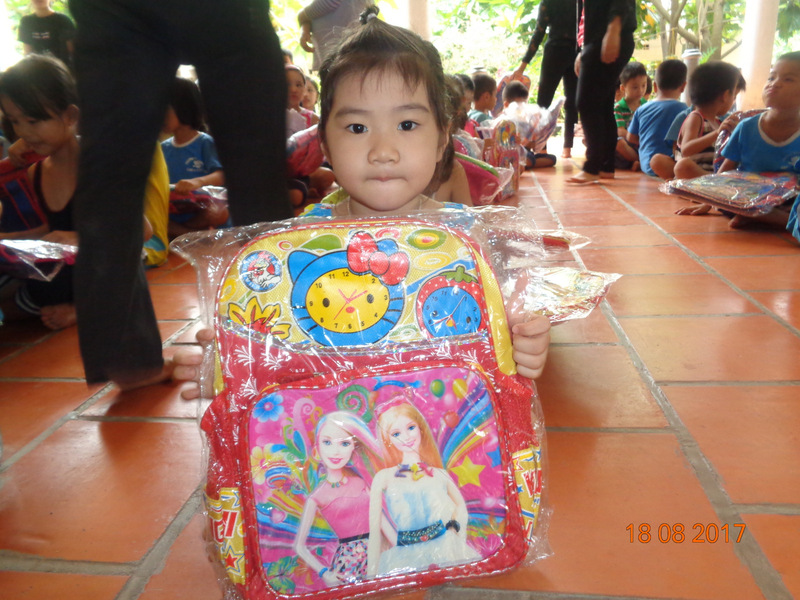 We wanted to help the nuns this school year, and offered to buy new backpacks for the children. 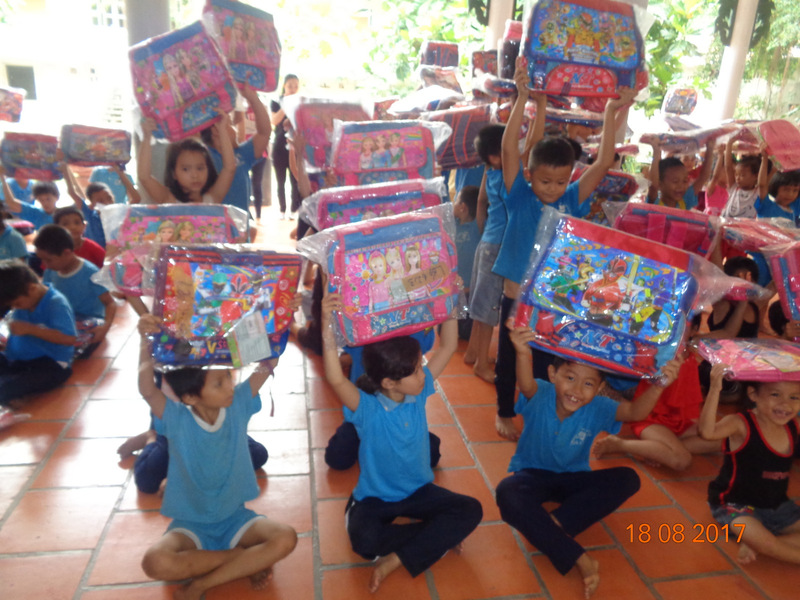 Our volunteers made the purchases, and drove out to the school. 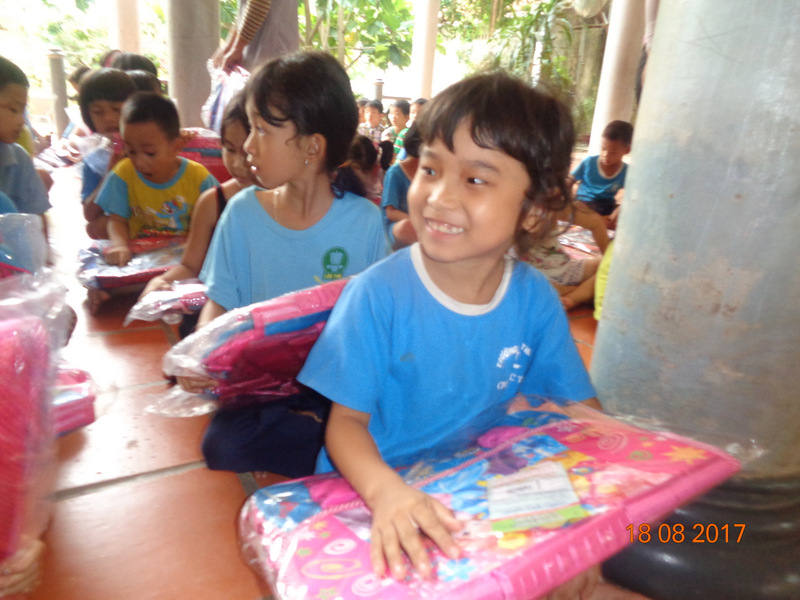 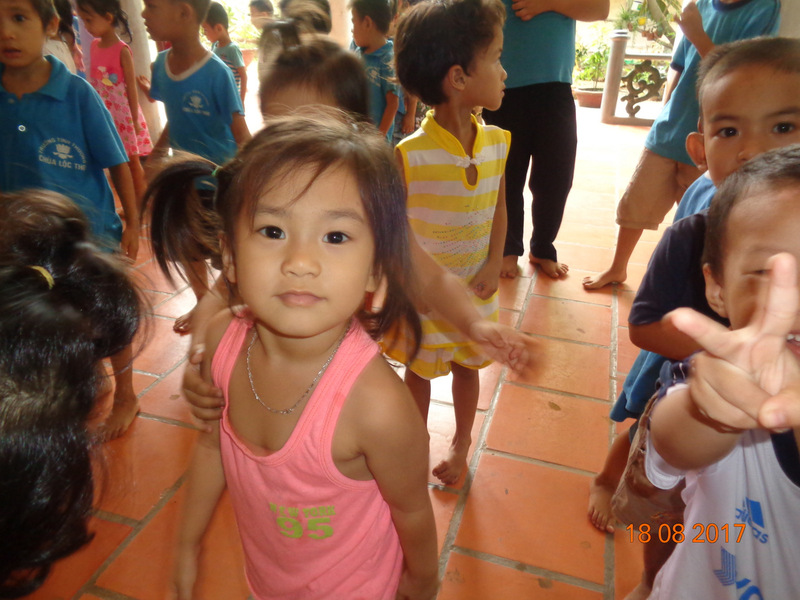 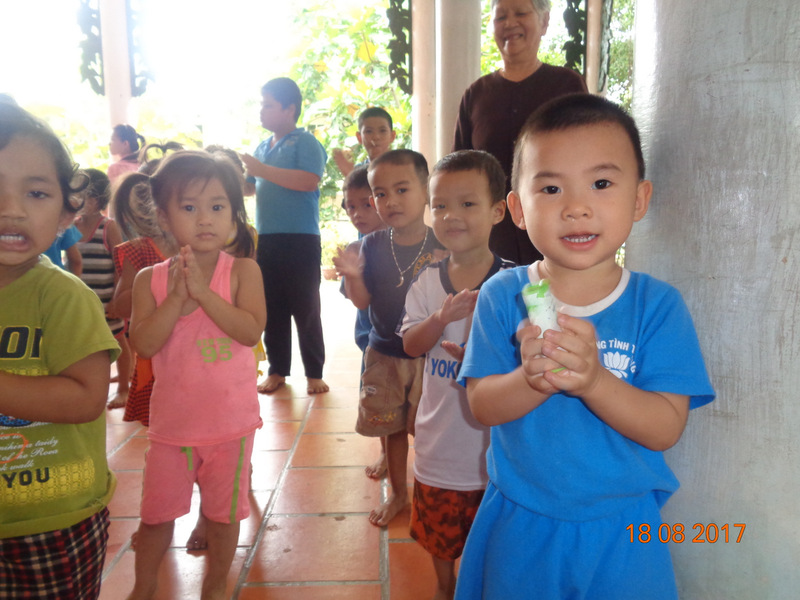 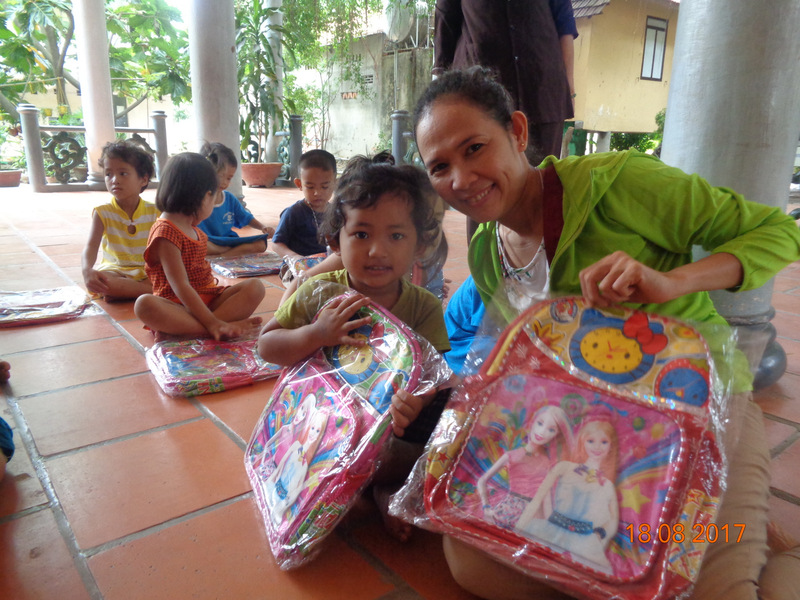 The nuns and teachers brought the children into the common room, and we handed out the backpacks. 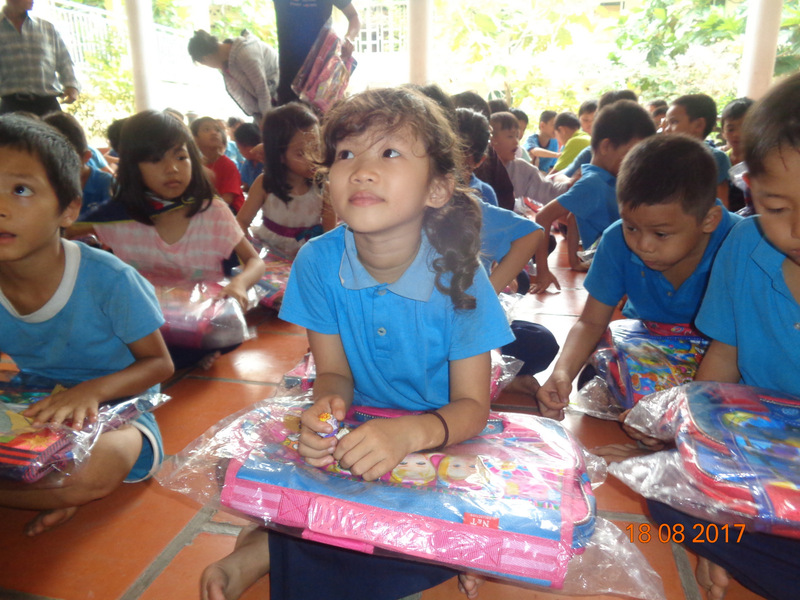 The children were so happy!